Industrial Scales | ACE Industrial Equipment, Inc.
We are happy to offer a very wide variety of industrial scales for any need. 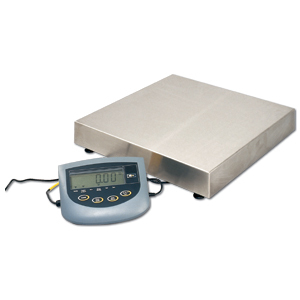 All of the industrial scales we offer are made with the highest quality standards in mind to ensure quality and reliability. Having accurate scales is crucial to maintaining costs and ensuring inventory. The right scale will save you money, time and can even cut down on worker accidents. In addition to table and floor scales, we also sell polyester strapping, shrink wrap machines, and more for facilities that need packing and shipping supplies. For more information on our industrial scales call us today at 1-800-300-6034.